At the foot of Hyogo Prefecture’s highest peak, Mt. 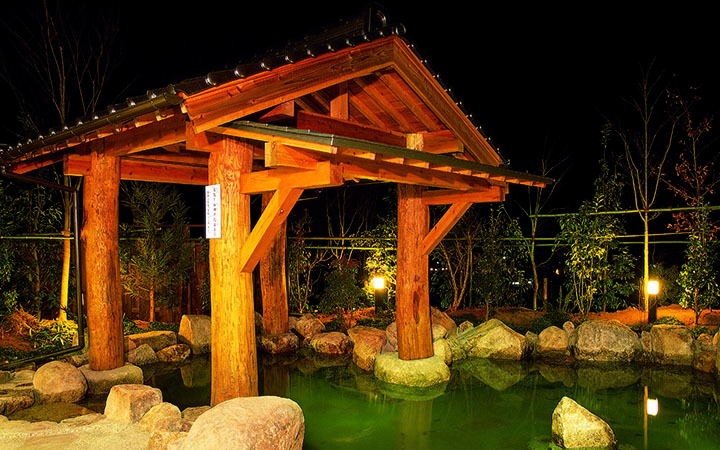 Hyonosen, you will find the natural hot spring bath known as the “Beauty’s Hot Spring”. Fittingly named because of the skin beautifying effects of the alkaline found in the spring water. A generous amount of natural wood is used for the structure and the bath is made of natural stone. The facility features a large open-air outdoor bath nestled in a grove, a scenic bath, a large public bath, a Jacuzzi, a leisure bath, and a sauna.